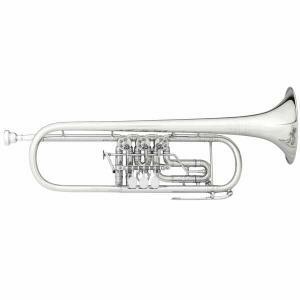 Bb Trumpet Custom J. Scherzer 8218-S "Cologne"
The J. Scherzer “Cologne” model 8218 rotary valve trumpet in Bb is ideal for the romantic style of repertoire with a gold brass body that blends much easier with other members of the brass section. The 8218 features a larger 5.512″ which allows the instrument to have a balanced feel in terms of resistance, resonance, and intonation. 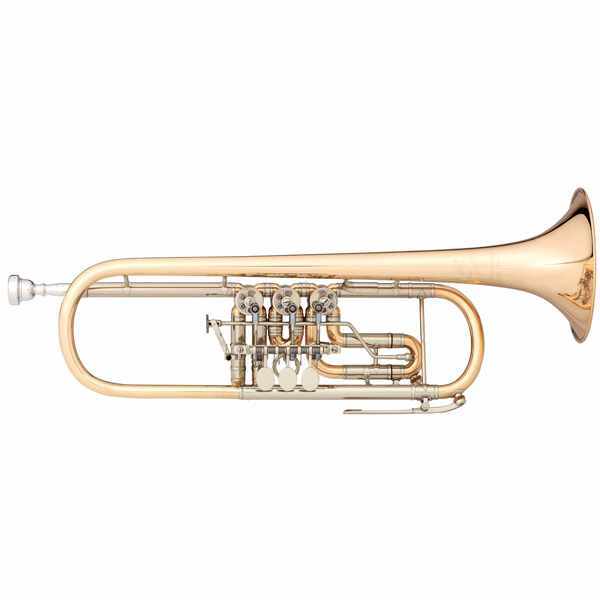 This instrument is ideal to perform music intended or written for natural trumpet due to the ability to play at full volume without being overpowering.